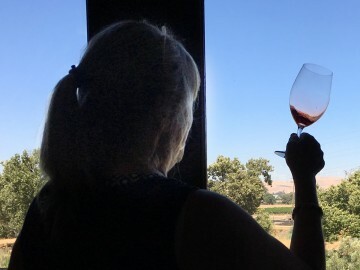 One of Livermore’s (and California’s) oldest wineries, Murrieta’s Well continues to be a premiere purveyor of fine wines and an outstanding venue for wine tasting. 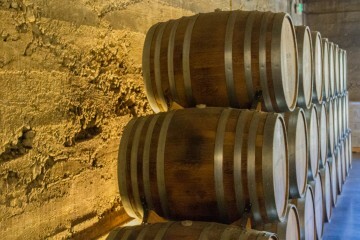 A recent sunny, Friday afternoon seemed to be perfect for another visit to their tasting room. 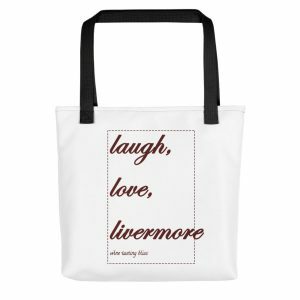 With such a gem just around the corner, why not? 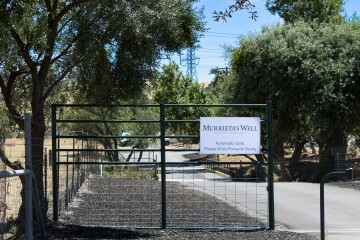 Arriving at Murrieta’s Well is a study in contrasts. First, you enter through a cattle fence and drive along an industrial yard. Then you turn into an expansive parking lot and catch your first glimpse of a manor house presiding over a manicured lawn. 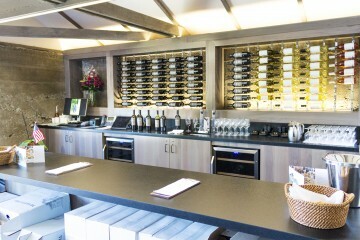 As we walked toward the winery, we were greeted at a sidewalk kiosk, handed a glass of white wine, and lead to a table inside the tasting room. What a unique arrival experience! We met wine guide Rebecca, who got us comfortable in the upstairs tasting area and explained that we were sipping on their 2015 Whip. The Whip is a blend of 30% Sauvignon Blanc, 30% Semillon, 30% Chardonnay, 7% Viognier, and 3% Muscat Canelli. That is a huge list of varietals, but it was worth it! Fun tropical fruits with a clean, citrus finish. Perfect for the warm summer day we were already enjoying. We were then introduced to wine guide Rob, who poured their 2016 Dry Rosé, a blend of 55% Grenache and 45% Counoise (a red grape grown primarily in the Rhône valley region of France). We enjoyed the strawberry aromas, which were joined by flavors of apricot and honey, with a lovely, dry finish. Next up were some red wines, starting with their 2014 The Spur. 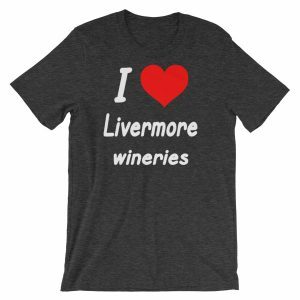 This blend of 45% Cabernet Sauvignon, 22% Petite Sirah, 14% Petit Verdot, 10% Merlot, and 9% Cabernet Franc had great layers of fruit with vanilla and spice notes lurking around the corner. We then tasted their 2015 Tempranillo, which has 5% Petite Sirah, 2% Cabernet Sauvignon, 2% Malbec, and 1% Touriga blended in. Smooth and refined, with restrained fruit and dark berry notes, this was a big hit, breaking onto the “take home” list. We couldn’t wait to sip this with some steak and Bearnaise sauce. The 2015 Malbec was a symphony of huckleberry, elderberry and cherry notes. We called it a “s’more in a glass” as we savored every drop. Our next taste was their 2015 Zarzuela, a blend of 40% Tempranillo, 40% Touriga, and 20% Souzao. The name means “blend of seafood” in Barcelona and “blend of musical performance” in Madrid. 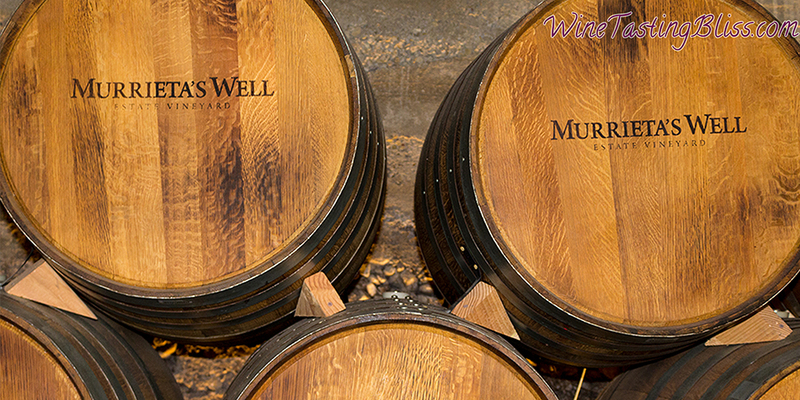 At Murrieta’s Well it means “punchy burst of berries, with umami and tannins toward the end.” Almost enough to make us take up smoking Cuban cigars. By happy happenstance, there was an open bottle of 2014 Cabernet Franc. This club-only wine was nearly sold out, but a bottle had been opened earlier for a special event. Waste not, want not! We did our part to make sure that none of this wonderful wine was overlooked. Wow! A smooth progression of nuanced layers. Almost a musical chord progression on the tongue. It was obvious why this wine was sold out! With our expectations exceeded and out taste buds sated, we thanked Rob, purchased a bunch of wine, and made our way back to the parking lot. 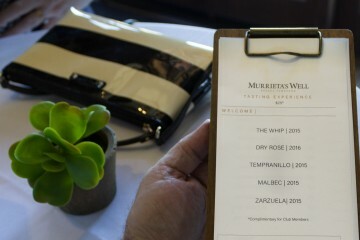 Another incredible tasting at Murrieta’s Well! Have you visited Murrietas Well? Click to give'em a tweet of support! Thank you so much for visiting us! 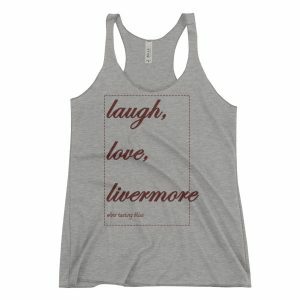 Love your review and all your beautiful pics. Cheers! It was a pleasure! 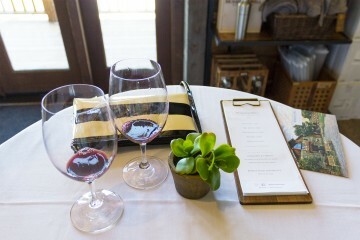 The great venue, amazing wines, and outstanding staff made the visit an outstanding experience.